If your goal is to be able to have fun with the world’s most beautiful instrument, then there is no reason you can’t learn violin on your own. We made the Trala App for those who want to take violin lessons online. Plus, there are loads of other online resources to help beginning violinists. Of course, it’s not going to be easy when you begin violin. But we didn’t pick up a violin because it’s easy! On the Trala app, 7 out of 10 users are learning violin without a teacher. We made this guide for all of you who don’t have private teachers. Most people don’t have access to a private teacher or a school system that supports arts education. And most people can’t spend $200/month on lessons. As anonymous posters on the internet usually are, these people are dead wrong. A huge amount of music education research shows that learning by yourself is difficult but completely possible. The most important thing to remember is that the best teachers teach you how to teach yourself. If you follow the 10 Commandments of Practicing Violin, you’ve got a great start. The most difficult part in following the 10 Commandments for beginning violin self-learners is diagnosing your own problems. We recommend finding others who are also playing violin. Lots of Trala users practice on their own, but our most successful users engage with others (Commandment 10: Thou Shalt Share Your Struggle With Others). Luckily, this can be done online. Learning how to take advantage of online resources will help your entire journey enormously. The Internet abounds with free resources: video violin lessons, tutorials, recordings, and sheet music. The top two resources, by far, are YouTube and IMSLP. Beth from Violin Lab demonstrates a popular practice technique below. One more advantage to YouTube is the videos of professionals playing music. Not only are these videos sources of inspiration, but we’ve found that most players can effectively diagnose their mistakes when they watch other people play. Before diving into YouTube though, while there's an abundance of helpful advice, there also exists advice that's not so practical. When searching for online sources, one thing to keep in mind is that internet sources are not all properly vetted and so it's important to research the reputation of a site before committing to its teachings. You can download free public-domain sheet music here and print it out at home. If you haven’t heard of it before, you’re about to be mind-blown. Not sure what to practice? Check out our list of free online repertoire available in the Trala App! With those resources, you don’t need to buy any sheet music or beginner’s books. Now that you have the resources, let's talk about every violin player's struggle: motivation. 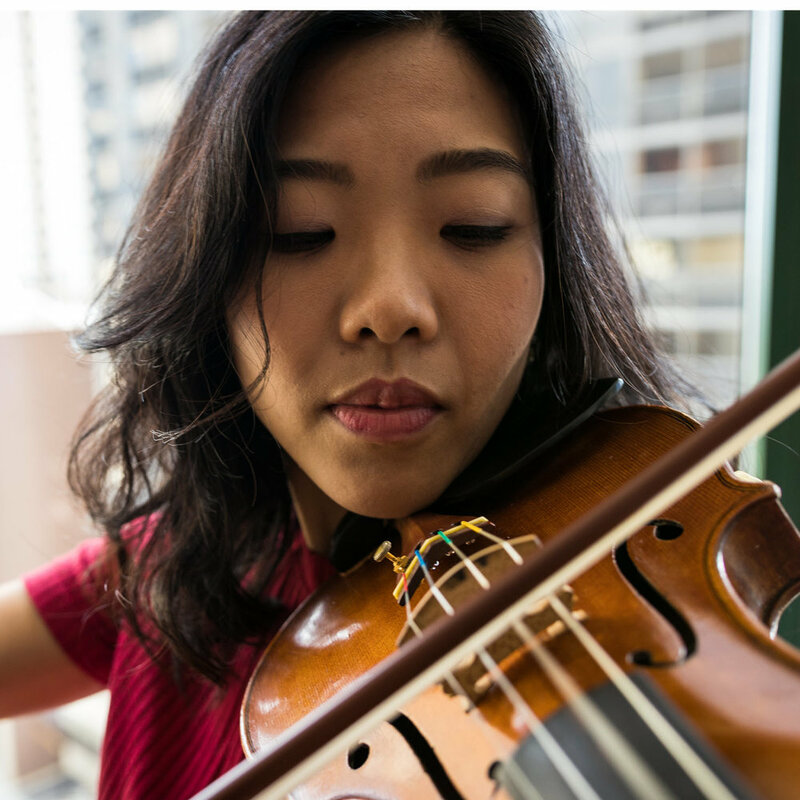 Practicing violin is notoriously difficult, but there are simple things you can do to stay motivated and push through the tough days. Here are a few tips for beginners on how to stay motivated. Understand that you will not make progress every day. Easy to say; hard to follow. Violin learning is a constant process, like learning a language, and there will be days where you don’t make progress. Roll with it. Your body posture, bow hold, and the positioning of your fingers are extremely important for sound production. Video tutorials are only as good as your ability to follow them, and some people need a teacher to physically hold their hand and move their fingers to the correct position. This is the part of violin-learning which is so difficult and why it’s usually not recommended to self-learn. Your best friend is other people who know the instrument. With that said, if you follow the 10 Commandments, engage yourself, stay motivated, and keep listening to music, you can absolutely reach your goals! If you’re ready to try online violin lessons, watch this short video showing on violin for beginners showing how Trala helps improve your practice skills. Then download the Trala app to try our 7-day free trial and start taking violin lessons today.